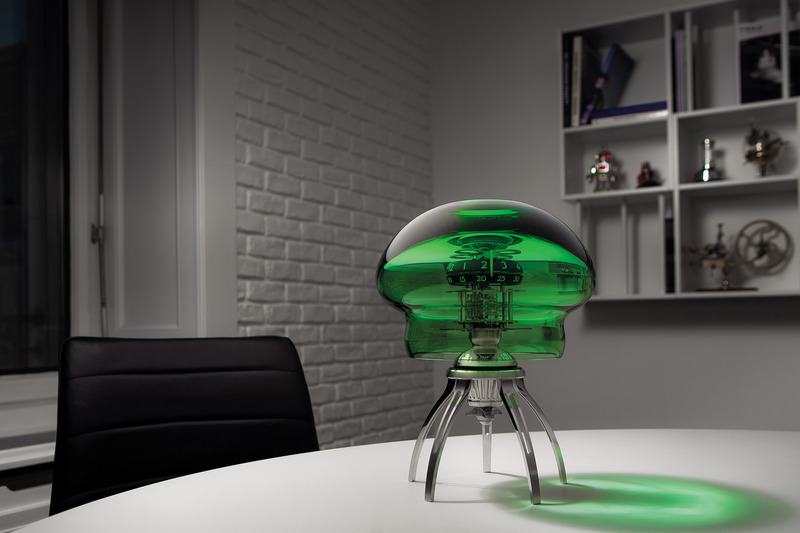 In 2006, MB&F presented Horological Machine No1 (HM1): a groundbreaking wristwatch that both launched MB&F and introduced the world to the then radical concept of three-dimensional kinetic sculpture as timekeeping machines. 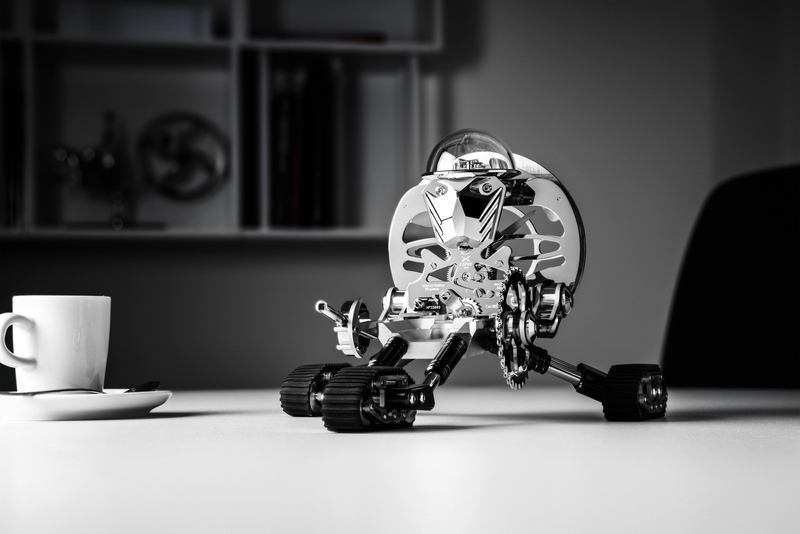 To pay homage to the end of this pivotal model, MB&F have crafted two final stunning variations, each in a very limited series of only ten pieces: HM1-Black and HM1-RS. 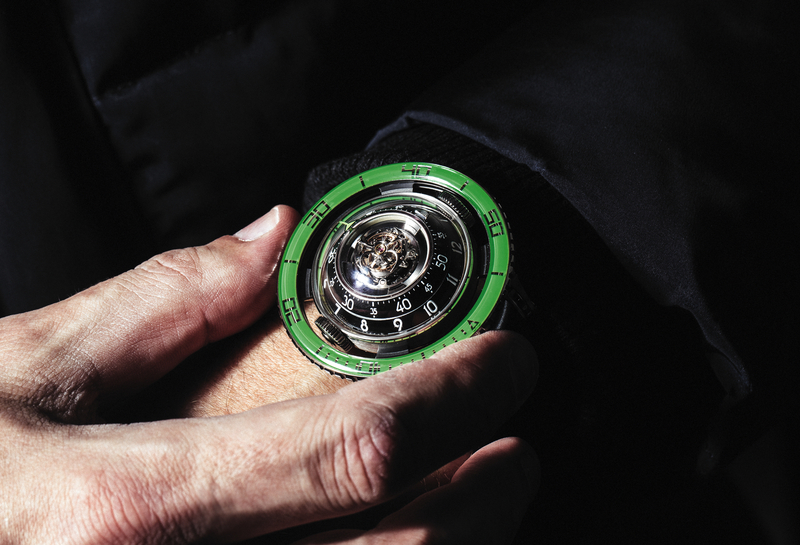 HM1-Black offers the ultimate in contrasts with its white gold case shrouded by a veil of coal-black. The subdued dark, though eye-catching in itself, offers the perfect foil for the burst of light that radiates from the dial. The blackened tourbillon cage allows the eye to glide past deep into the movement, while the bright blue of both the hands and the solid gold rotor provides a brilliant splash of colour in an otherwise two-tone landscape. HM1-RS features a red gold case that highlights the architecturally inspired and artistically sculptured three-dimensional case, and an intriguing transparent dial allows visual access to the top of the meticulously finished movement. The dial is ‘intriguing’ because, depending on the angle of view, it can change from being completely transparent to acting as a highly reflective now-you-see-it-now-you-don’t mirror. Both HM1-Black and HM1-RS feature hours and minutes on separate dials, a raised central one-minute tourbillon, a seven-day power reserve, four mainspring barrels and both automatic and manual winding. 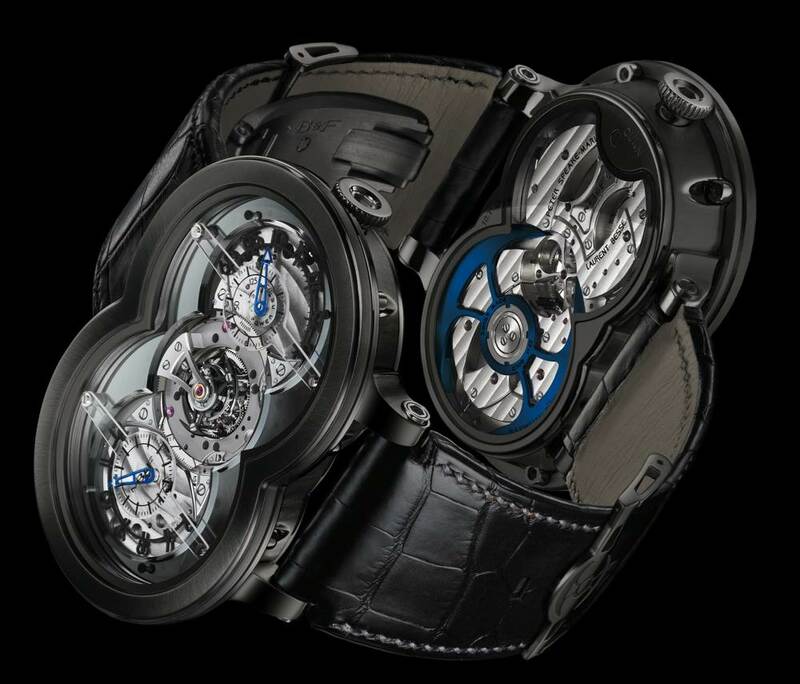 The hours and minutes are indicated on their respective etched-sapphire bridges augmented by precision laser-cut applied numerals, and a rotating disk indicates the seven-day power reserve on the right-hand dial. An extra-wide custom tapered strap, complemented by a bespoke buckle, completes the timepiece. Exclusive is hardly the right word for these two extremely limited editions of just 10 pieces each.